The Oakland Raiders are signing veteran running back C.J. Anderson, a source told ESPN’s Adam Schefter. Anderson has been looking for work since Nov. 12, when he was released by the Carolina Panthers. 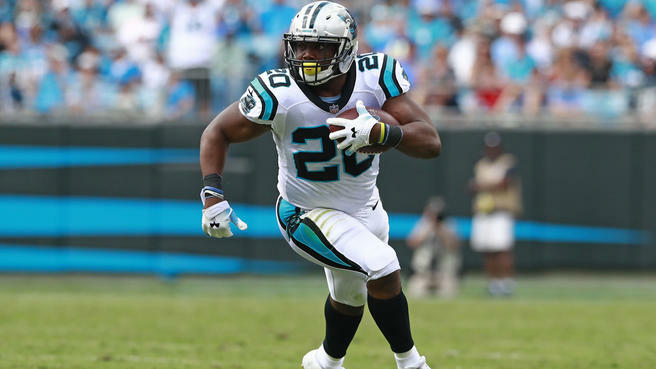 Carolina had signed Anderson to a one-year, $1.75 million deal during the offseason, but with Christian McCaffrey seeing most of the volume in the team’s backfield, Anderson managed only 104 yards on 24 carries in nine games. Anderson, who spent his first five seasons with Denver, had visited the Chiefs earlier this week in the wake of Kareem Hunt’s release. Kansas City ended up signing Charcandrick West instead. Anderson, who played for the Cal Bears from 2011-2012, won a Super Bowl with Denver in 2015 and was a key contributor on that Broncos team with Peyton Manning being largely ineffective. Anderson joined the Panthers in May, but was waived last month because he felt his role on the team was too small (with the emergence of Christian McCaffrey as Carolina’s every-down back) and he wanted a bigger workload elsewhere. Whether he gets that big workload in Oakland remains to be seen, as Anderson will be competing with Doug Martin, Jalen Richard and DeAndre Washington. But even though it seems like Anderson has been around forever, he’s still just 27 years old and has rushed for 3,155 yards and 20 touchdowns. With a strong performance in the final few games of the season he can put himself into Oakland’s plans for the coming seasons. Anderson posted unspectacular numbers with the Panthers this year, rushing for 104 yards with zero touchdowns on the ground in nine games. A single 24-yard TD represented the entirety of his receiving production. Anderson is a year removed from a 1,000-rushing yard season with the Denver Broncos, so it’s hard to believe he’s over the hill. The Raiders’ signing at least represents a homecoming for Anderson, who grew up in the Bay Area and attended Cal.